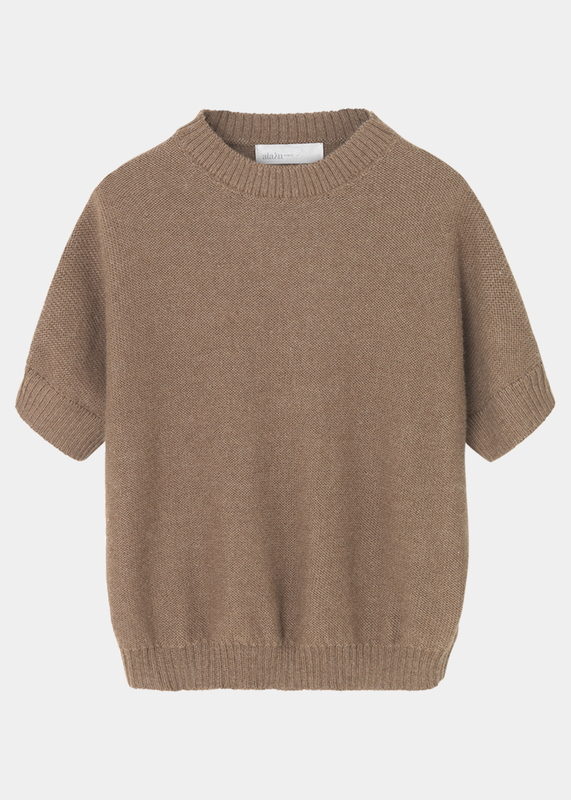 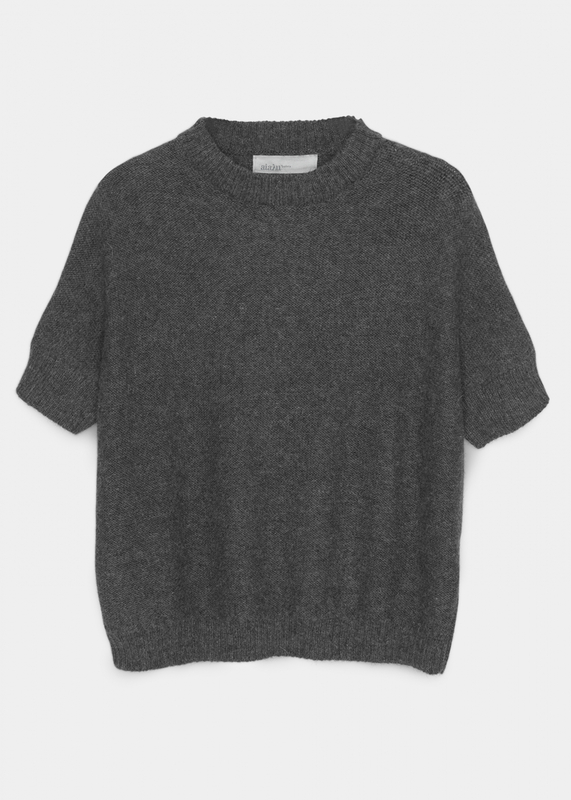 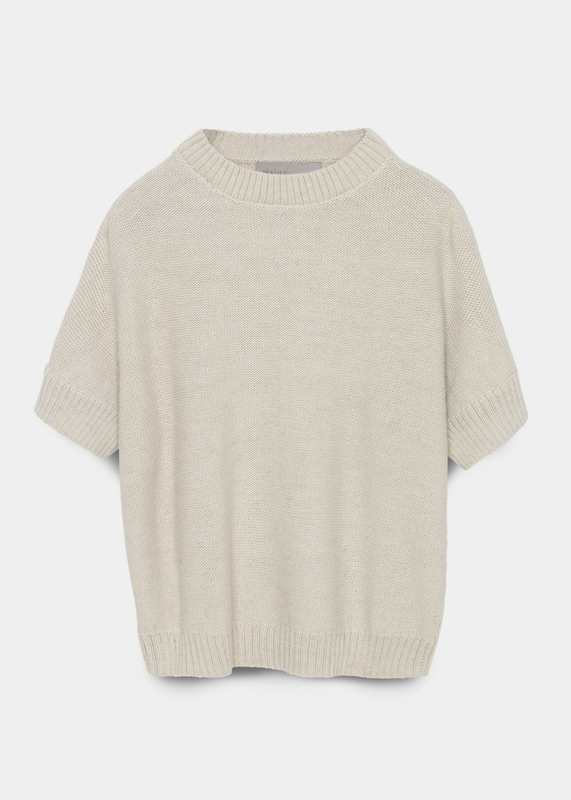 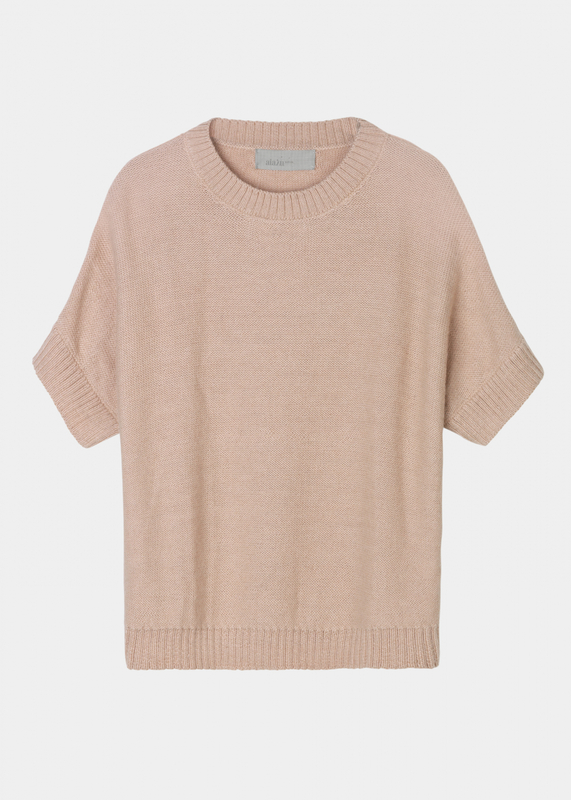 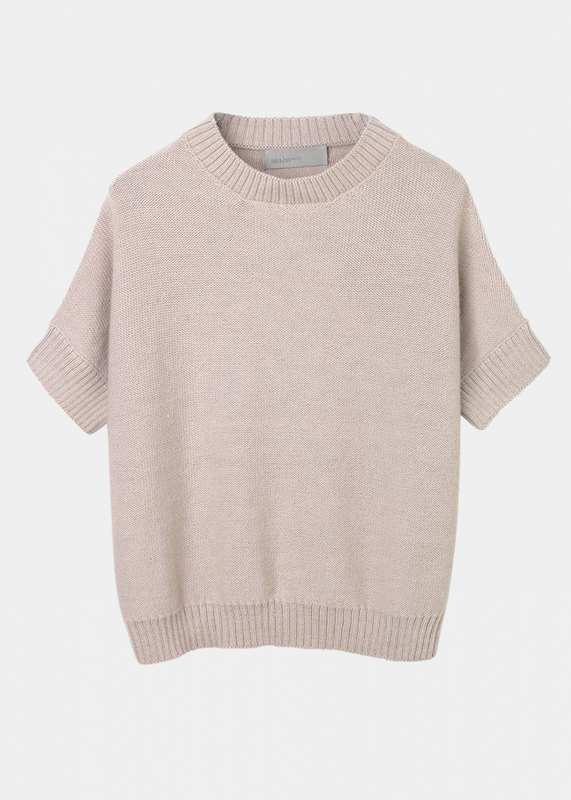 Short-sleeved sweater in a soft pearl knit llama wool. 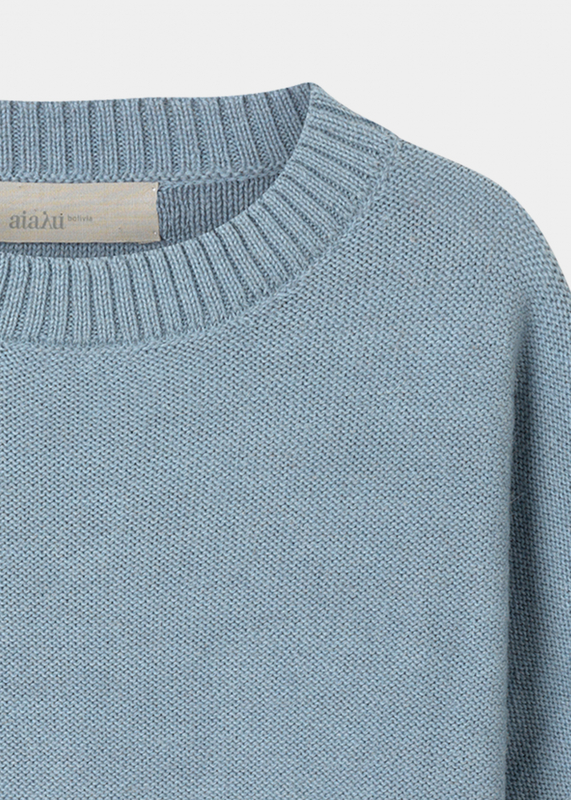 BRIGIDA features slightly dropped shoulders and visible seams, giving it a relaxed look with plenty of subtle details. 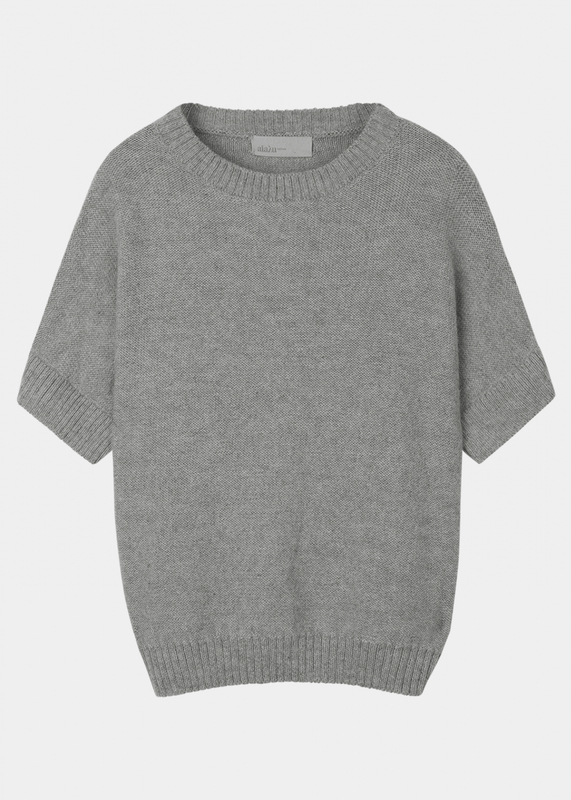 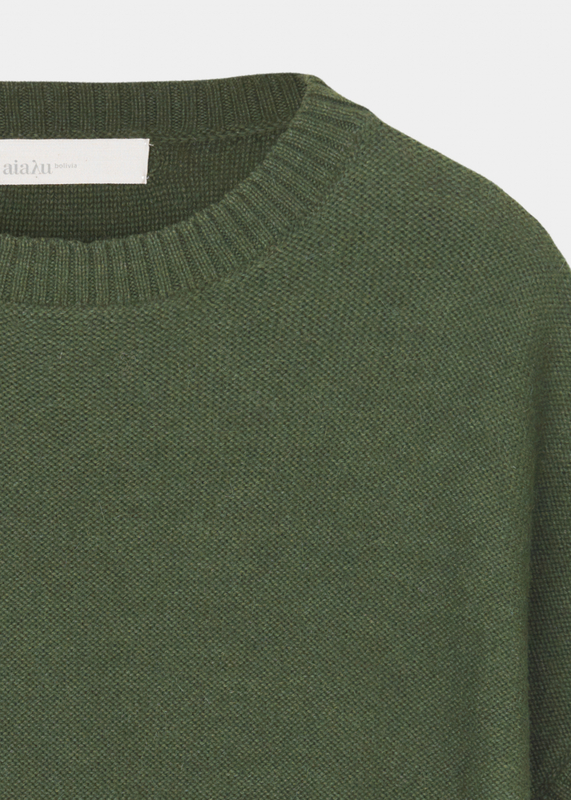 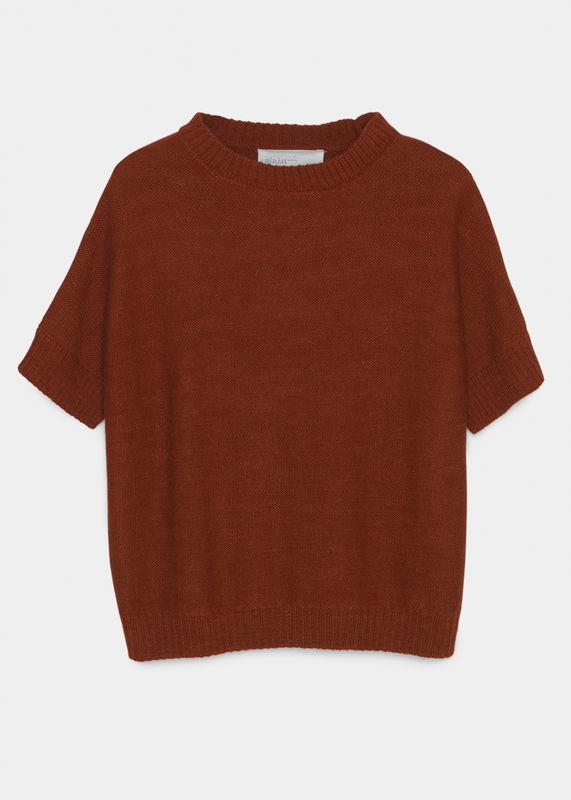 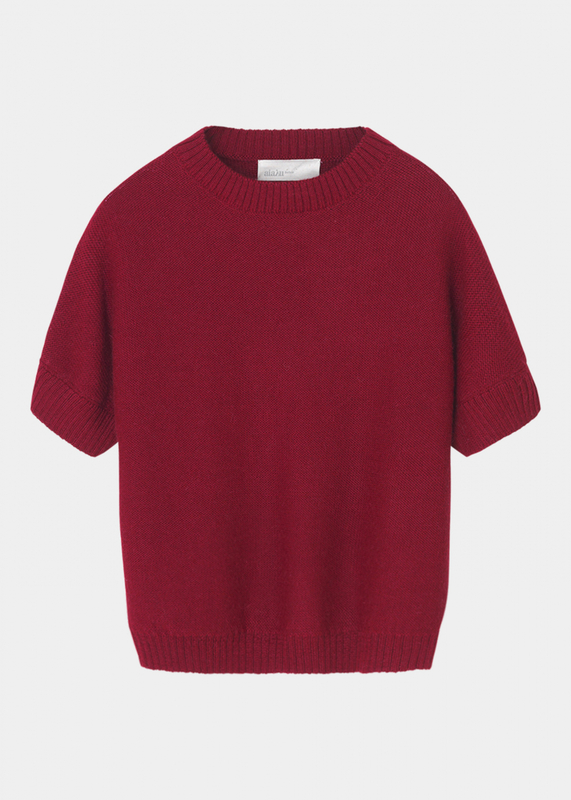 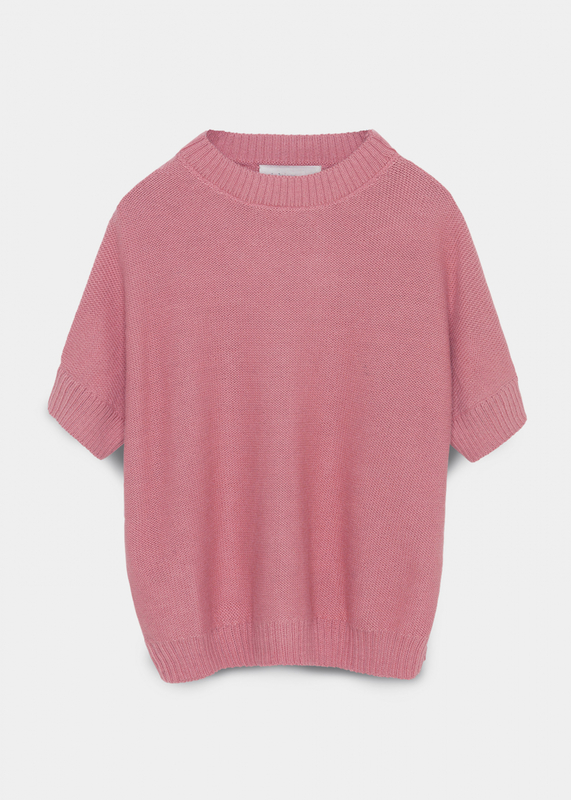 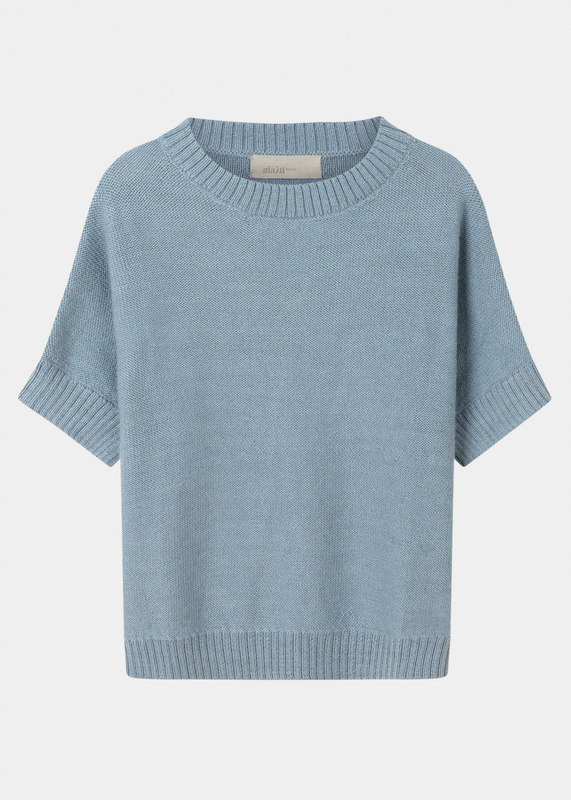 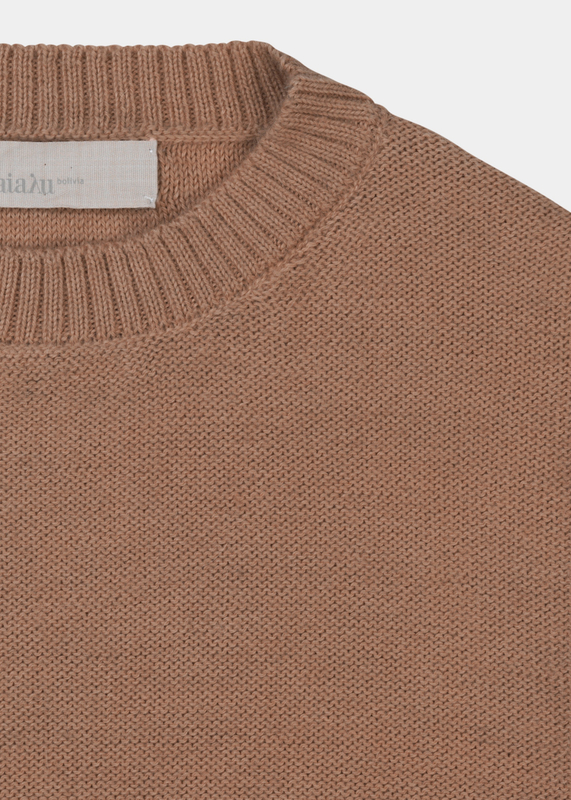 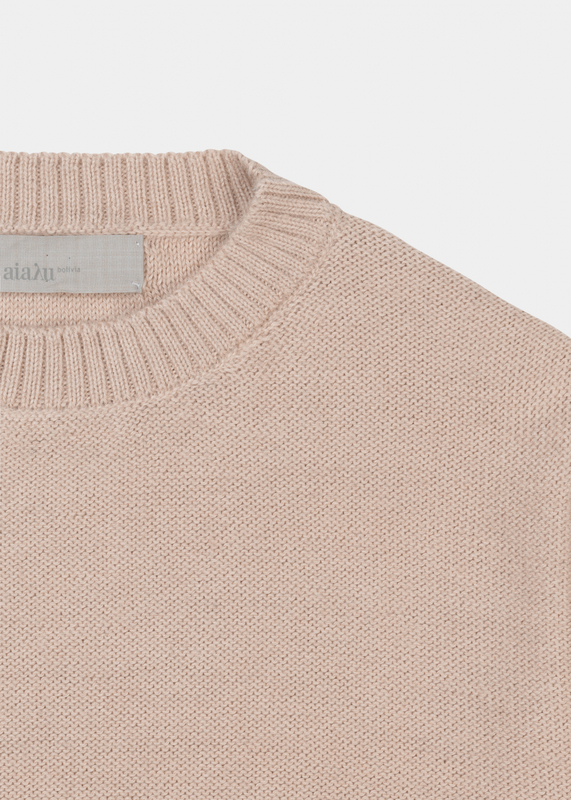 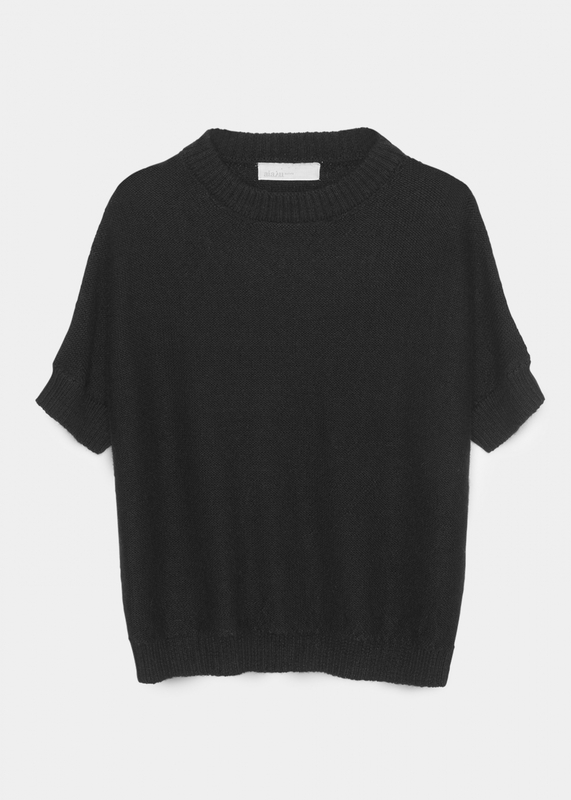 The sweater has a comfortable feel due to the classic pearl knit structure, which is marked by the raw ribbed hems at the neck and sleeves. 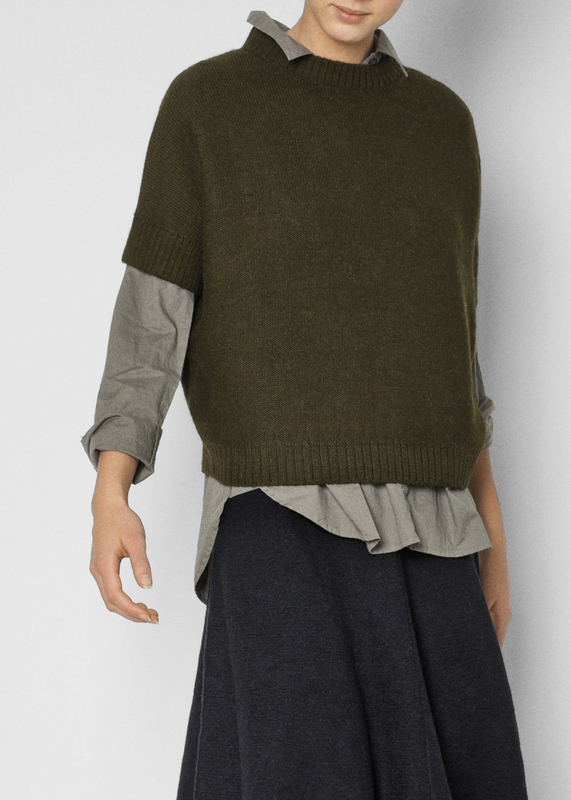 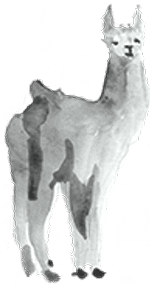 BRIGIDA is designed with a boxy, loose fit that hits right above the hips. 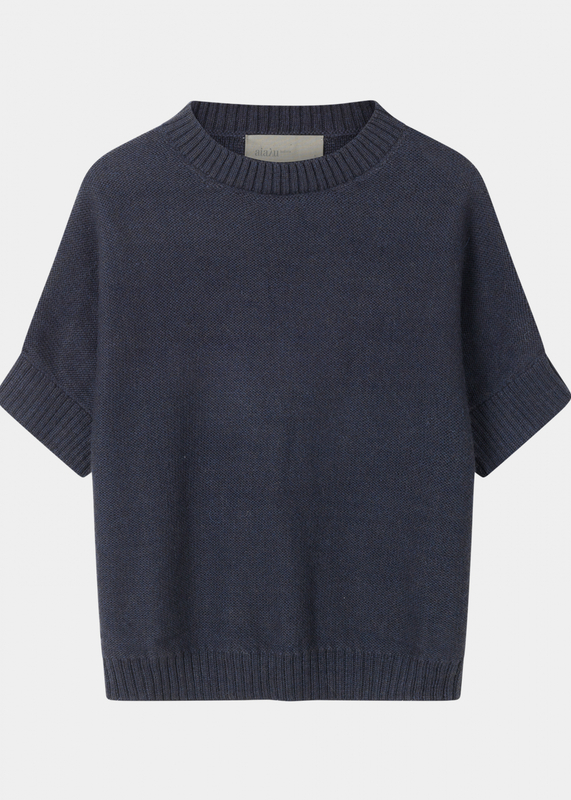 This makes it slightly shorter, but with a wide body that gives it a relaxed fit. 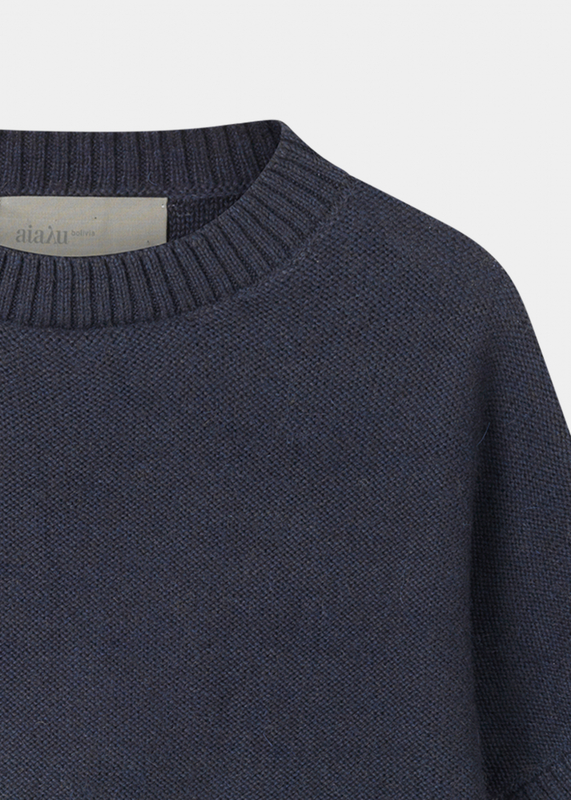 Straight ribbed edges, and a rounded neckline.